As the most influential retail event in China, C-star 2018 - Shanghai's International Trade Fair for Solutions and Trends all about Retail will be held from April 26 to 28 at Shanghai New International Expo Center. With “Shape the Future of Retail” as its theme, C-star welcomes more than 120 exhibitors bringing their newest and most innovative products and solutions in store design and equipment, lighting, smart retail technology, visual merchandising, POP marketing and exhibitions and events in a comprehensive way. C-star 2018 is set to be a high-quality trade show presenting the latest store designs and smart retail for retailers. In the era of digitalization, “data-driven” is undoubtedly the core feature of new retail, utilizing offline data through the Internet of Things (IoT), face recognition, mobile payment, virtual reality (VR) and other technologies to leverage online consumer data. 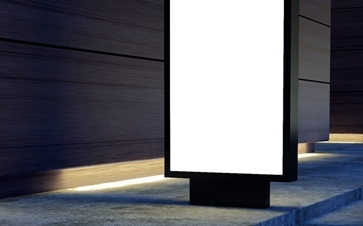 This allows for precise store management and personalized messages to be delivered in the offline environment. Such a "data-driven" method is adopted by many retail product solution service providers for offline stores. Driven by adaptation to new technologies, the upgrade of consumption experience and the new form of retail business, C-star will debut "ReTailor Hub" this year, featuring two major retail brands – the fast fashion brand ROCOCO and the Classic Teddy dedicated to culture and creation. 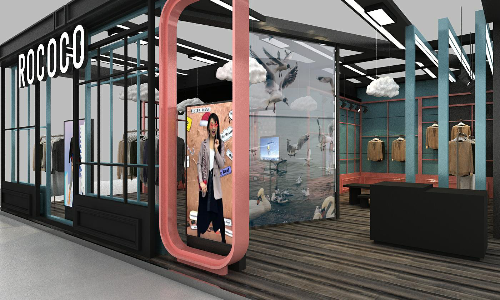 The brands will create an upgraded store featuring stylish aesthetics + smart retail in a 300-square-meter area together with 11 retail solution service providers, so as to bring a high-end visual feast combining innovative designs and black technology. In ROCOCO’s special event zone, 10 store design and equipment suppliers are set to fully display ROCOCO’s product solutions, including store designs, lighting rendering, light box identification, fitting magic mirror, remote video store inspection system, face recognition technology, LED screens, electronic price tags, display containers and shelves and model props. As the chief planner of ROCOCO’s store, CNC-EXPO vividly illustrates the smart, personalized and customized clothing new retail by the combination of ROCOCO’s concept of female fashion and hottest intelligent face analysis technology and store management solutions in current new retail era. In ROCOCO’s store, you will experience a complete set of shop management solutions, see the architecture that combines intelligent perception device, cloud service and mobile terminal, and learn ways to manage the display of the entire store remotely. Based on intelligent face analysis technology, the membership recognition system can capture and identify each customer who enters the store; you will also see online check-in, online comment book and other solutions in ROCOCO’s events. In addition, you will experience the 3D fitting magic mirror, a fitting solution to instantly measure users’ physical parameters. Meanwhile, users can switch from one model to another quickly, trying on a variety of clothes as they like, sharing the new styles with friends and family via email and social media. 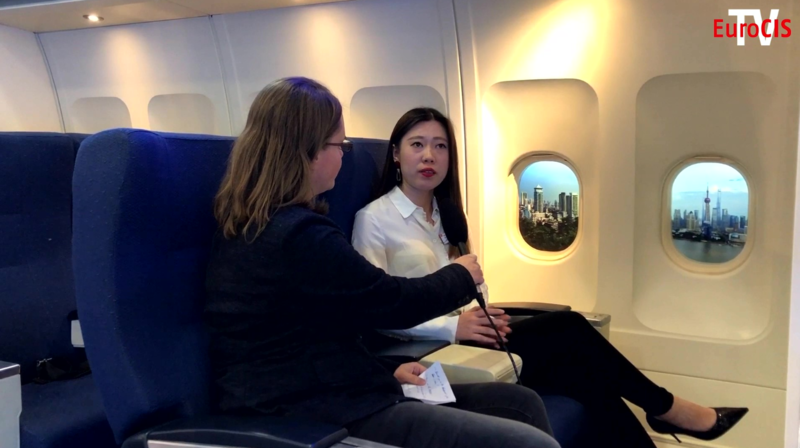 A 3D data virtualization solution required by FXMirror can be created within 5-10 minutes with only two photos on the front and back of new clothing. Sponsors participating in the events include CNC-EXPO (Store Design Solution), Citylux Technology (Lighting Solution), Zhejiang Shanyoung (Shop Fitting), COSUN Technology (Visual Merchandising), COSUN Sign (Visual Merchandising), NEXNOVO Technology (Visual Merchandising), Guangzhou Yuanrun (Retail Technology), Elegant Mannequin (Visual Merchandising), BOE (IoT Solution) and Wandianzhang (Retail Technology). As a parent-child platform containing various business sectors such as “food, amusement and shopping”, the Classic Teddy is positioned as “indoor Disney” and “parent-child day trip”. With the IP of Teddy Bear as its theme, it integrates different forms of business, including amusement park, catering, gift pavilion, kids styling, kids photography, DIY, small theater and birthday party to create a fun platform to provide both kids and parents with diverse and pleasant experience. 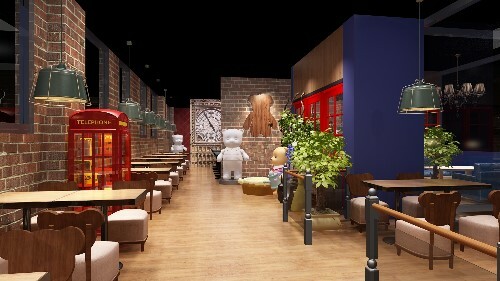 In the Classic Teddy Bear World’s special zone for branded store upgrade events, this leisure and entertainment platform featuring culture and creation will showcase the Teddy Bear Theme Cafe on the spot, demonstrating a British-style humanistic atmosphere. As an equipment service provider in the retail technology field, Koscar focuses on experience-based marketing and interaction solutions. You will experience a revolutionary smart ordering system where a visual menu will be presented on a smart multi-person interactive table that is water, oil, heat and explosion-proof. It completely replaces the traditional artificial supplementary ordering method. This smart ordering system has no language barriers, and the menu can directly enter the kitchen or drink bar, realizing efficient ordering and order generation as well as seamless connection to all ordering POS cashier systems. The “ReTailor Hub” is located in Hall N5 of Shanghai New International Expo Center. Pre-registered visitors can enjoy free admission and feel the charm of upgraded stores featuring innovative designs and smart retail. You can visit C-star's website: www.c-star-expo.com, or scan C-star’s official WeChat account (ID: c-star-expo) for online pre-registration and quick entry. Pre-registered visitors will also receive gifts from FC Bayern Munich, the Official Gift supplier of C-star.